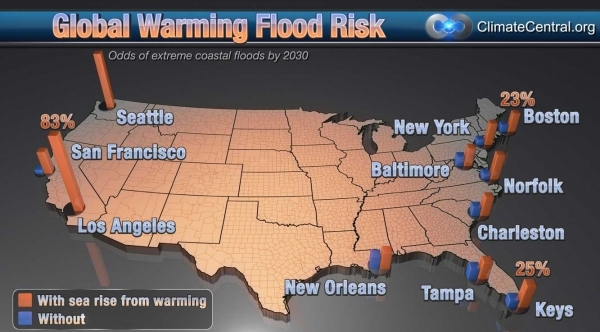 The odds of extreme coastal floods nationally by 2030. 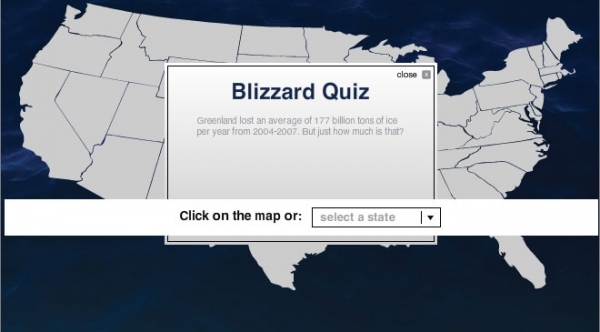 Greenland lost an average of 577 billion tons of ice per year from 2004-2007. But just how much is that? 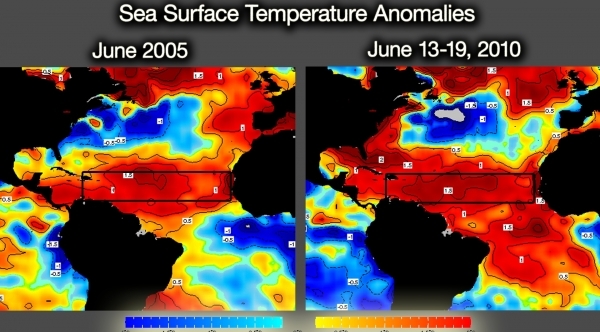 Sea surface temperature anomalies in 2005 and 2010. 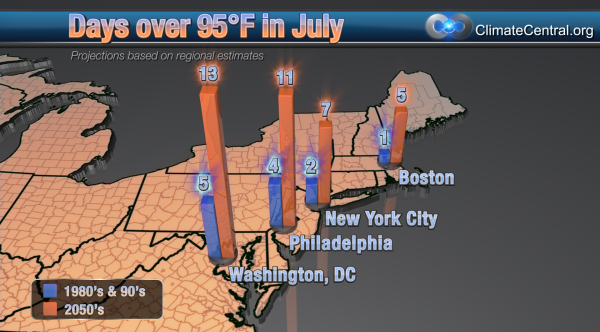 The area inside the box indicates the 'Main Development Region' where most hurricanes form. 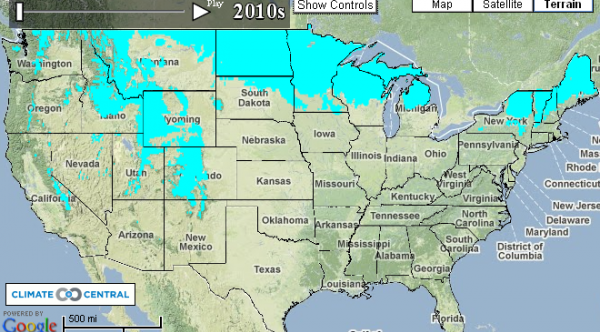 High-resolution animated projection maps for how the cold and snowy months will thaw this century. The CCS project proposed for Linden, NJ will use a process called gasification to convert coal into hydrogen. 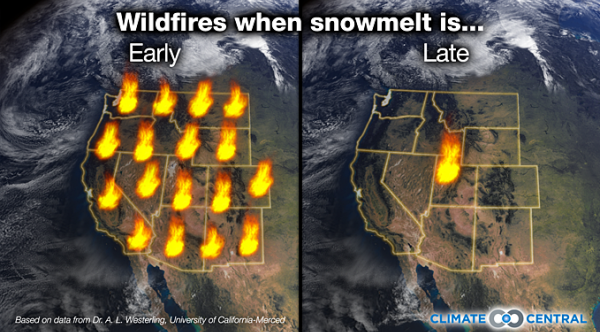 In recent decades in the American West, wildfires have burned about 17 times more land in years with early snowmelt than with late. 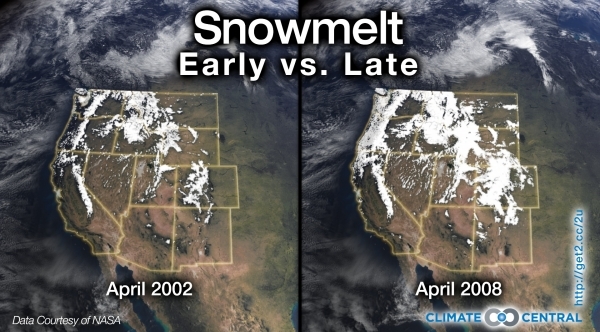 Satellite-derived images comparing the first full week of April in years with early (2002) vs. late (2008) snowmelt.